Teacher Playground: Another Giveaway to Thank You for Being You! I think it is time for another giveaway as I want to thank you for being you and being such wonderful educators. Since I am a huge LSU fan, I asked my friend Tabitha with FlapJack Educational Resources if she would make a purple and gold themed classroom pack and what do you know...she did! She is awesome!! 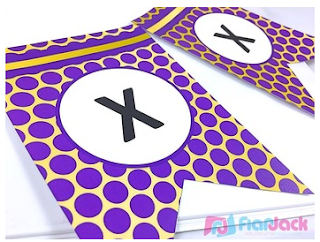 Tabitha has agreed to let me give away a classroom decor pack. 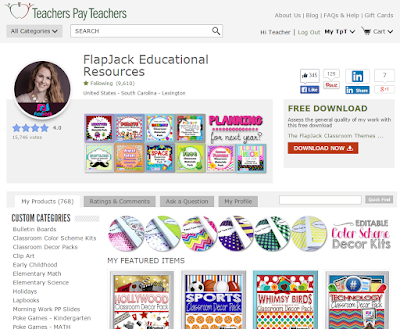 You can also win $10 in products from my Teachers Pay Teachers Store. 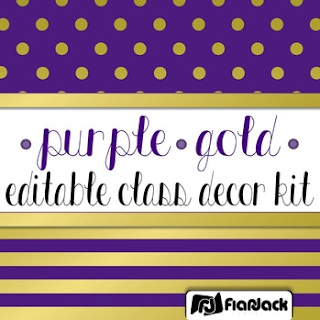 If you're looking for an editable class decor kit with a purple and gold color scheme, this is it! 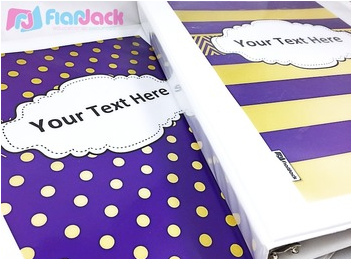 Various printable materials are provided along with many EDITABLE PowerPoint files for you to create just what you need for a matching, beautiful classroom. The editable resources are great for creating party decorations, too! 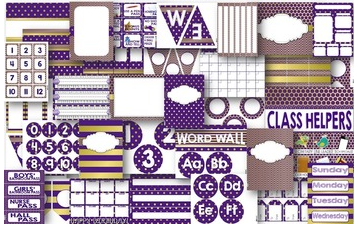 Browse other color scheme kits to combine with this one or check out the Ten Colors Editable Class Decor Mega Bundle.